If you’re in the market for a new mattress, you’re in luck. Award-winning mattress-maker Simba is running a sale on its website: from today until Monday 25 March, you can save 15 per cent on any Simba order over £429 – just add the code SIMBAMARCH15 at checkout. 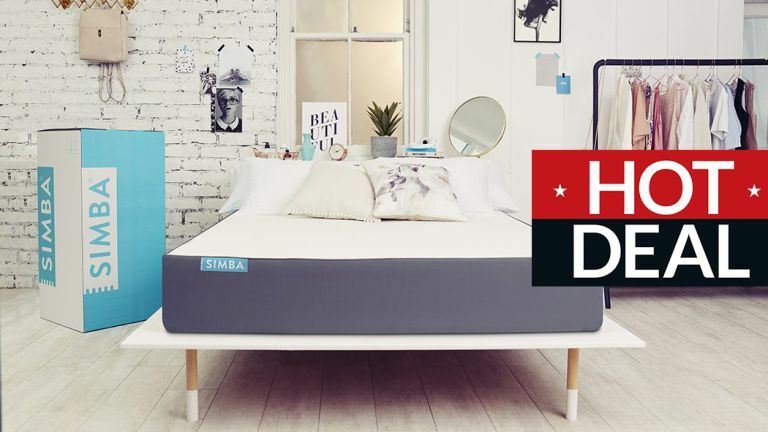 This deal applies to any combination of products, including the popular Simba Hybrid Mattress – which we think is the best mattress you can buy right now. Its patented pocket springs and supportive memory foam have won scores of awards and hundreds of happy customers. This offer is provided by Simba Sleep Limited (UK registration number: 09703422) of Mezzanine Floor, Southside Building, 105 Victoria Street, London, United Kingdom, SW1E 6QT, trading as "Simba". Our VAT number is GB230194343. This offer entitles you to 15% off Simba Products where you use the discount code SIMBAMARCH15 subject to the terms and conditions below (the “offer”). By participating in the offer, you accept and agree to be bound by the terms and conditions set out below. 1. This promotion is valid from 2PM GMT on 22nd March 2019 until 11:59 PM GMT on the 25th March 2019 (the “Offer Window”). After 00:00 AM GMT on the 26th March 2019 the offer will no longer be redeemable. 2. There is a minimum spend applicable to this offer of £429 (GBP). The total price of an order must exceed this threshold in order for the discount to apply. 3. This promotion may be applied to purchases of all Simba Products, provided always that the minimum spend, as set out in clause 2, is met and subject to any invalidity which may arise in accordance with these terms. 4. To redeem the offer the customer must input the discount code SIMBAMARCH15 during the checkout process of their order for Simba products. By inputting the code, the value of the basket shall be reduced by 15% of the original retail price of the items in the basket. where there has been, in Simba’s opinion, a disproportionately high number of redemptions of the discount code, by reference to what we would consider typical in the circumstances. where a discount code has already been applied to the basket. 6. This promotion may not be used in conjunction with any other promotion, offer, bundle or discount; or be redeemed for cash or credit. another reason which prevents Simba from administering this offer in accordance with its legitimate business interests. 8. This offer applies to Simba Products ordered in the UK only. 9. This offer only applies to Simba Products purchase via our UK website (https://www.simbasleep.com) and not to any products purchased via any of our authorised retailers.